Is it better than the Land Rover Disco? The dependable gun dog of Car World for over six decades. 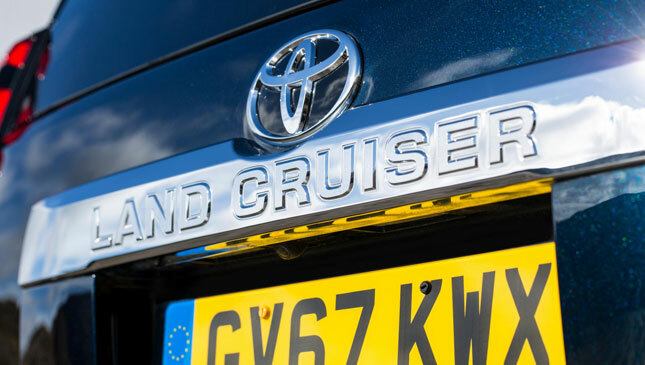 Capable and trustworthy, the mighty Land Cruiser has been the Pavlovian off-road purchase for everyone from dune-bashing sheikhs to Welsh sheep farmers for as long as, well, as long as we can remember. 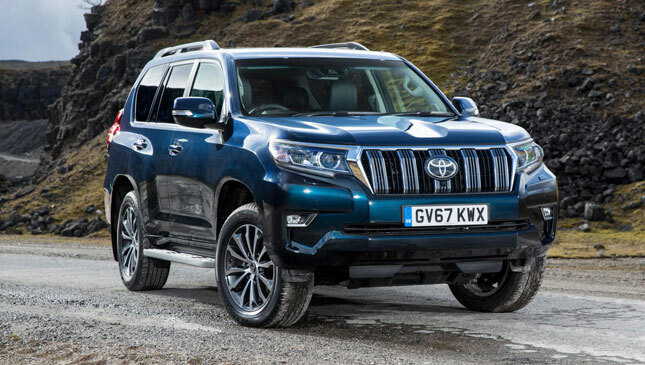 But where pretty much every other car in the class has got with the times, succumbed to button-free dashes, monocoque chassis architecture and soft-touch materials, the Land Cruiser is selfishly abstaining from a full-blown and thorough 21st-century overhaul. The current model is the same as the one introduced in 2009, just with minor refinement tweaks and functional aesthetic changes that don’t give a hoot about making the thing pretty. It’s still a body-on-frame chassis with a solid rear axle but in the UK there’s now a new workhorse ‘Utility’ spec complete with steelies, minimal options and an interior you can wipe down with an industrial sized anti-bacterial, multipurpose kitchen wipe. 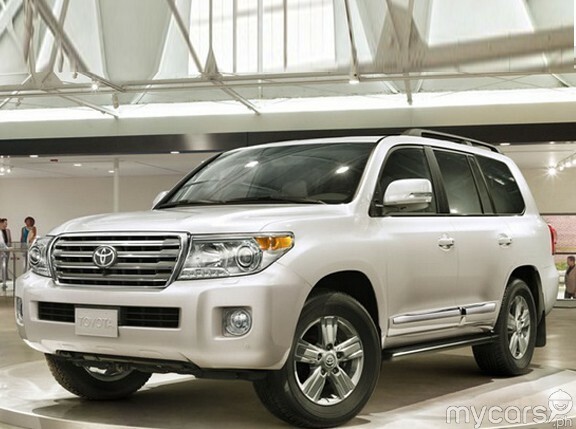 Where Germany has the G-Wagen (now G-Class) and Britain had the Defender, Japan has the Land Cruiser. Just like its peers, it has almost unimpeachable off-road abilities. This has made it the favored four-wheeled flavor of the UN. Why? Because they never break; there’s a reason why the outback is littered with the carcasses of old Land Rovers and not broken Toyotas. 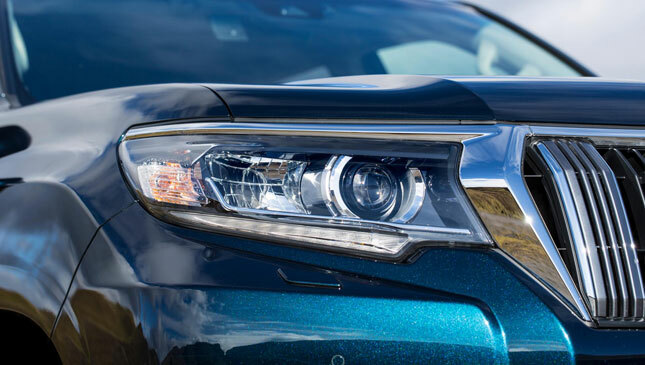 Even being built to Toyota’s high standards (and the concept of a 25-year service life) some of the plastics don’t feel worthy of the car’s high price. They’re fine in a Prius, but not here. So if plushness is something you’re looking for in an off-road seven-seater, the Disco may be your bag. If you’re willing to sacrifice that sacred reliability, that is. Off-road? Imperious. On-road? Nautical. See, the newly-stiffened body-on-frame chassis is the real weak point. 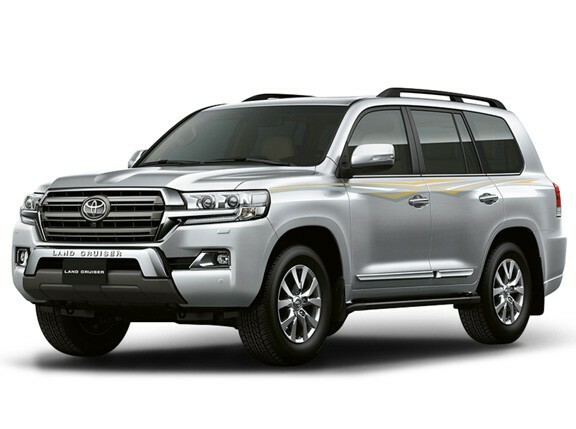 Over a bumpy back road, the Land Cruiser is constantly fidgeting and fails to iron out any of the surface imperfections. One positive is that the Land Cruiser doesn’t roll very much through a corner. This is down to a clever anti-roll device that uses hydraulic chambers on the front and rear anti-roll bars to keep the suspension in check. It’s not involving though. Despite clever electronics to keep you on the road, the LC remains slow and wayward. 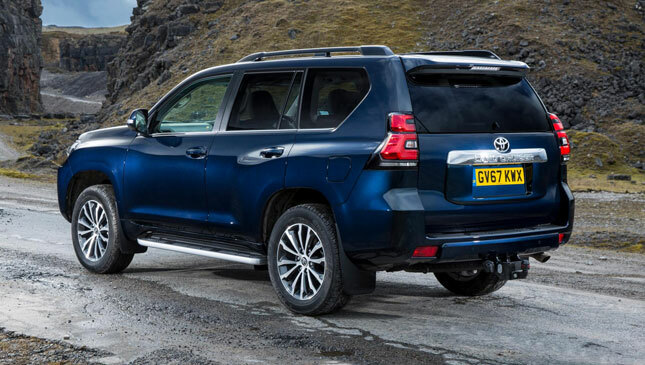 Its largely unstoppable mass, slightly divorced ride quality and sloppier-than-school-dinner steering reaction make it feel more like an ocean liner than a large SUV. There’s independent double wishbone and rear four-link rigid suspension system. That rigid rear axle makes it beneficial when the tarmac runs out, but your lower back won’t thank you when you’re on the black stuff. Instead of the suspension, the cartilage in your spine will be soaking up the secondary bumps as the LC lacks the absorbency and sophistication of every other car in the class. 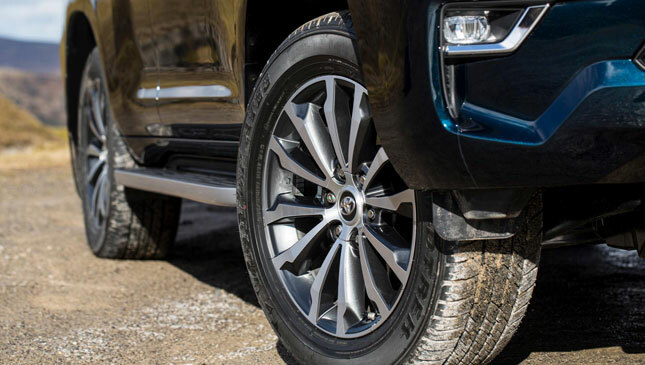 But when you’re off-road the Land Cruiser takes on a whole new personality—all of a sudden you’re at the heart of the action. The engine also makes more sense here, because the low-down torque allows you to simply crawl forward and clamber out of tricky situations. 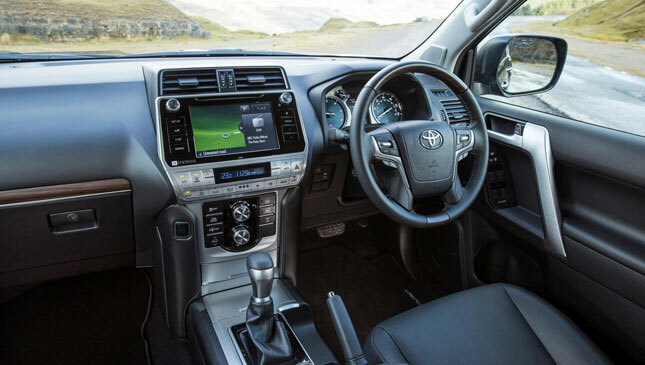 Accept that you’re moving at a slow pace and the Land Cruiser’s comfort is just fine, thanks to big seats and long-travel suspension. But if you’re prone to car sickness, beware. You can’t argue with the numbers as the approach, breakover and departure angles are deeply impressive. The big LC can be driven at a maximum bank angle of 42°, at a maximum forward or reverse pitch angle of 42° and its maximum wading depth is 700mm. Equipped with full-time four-wheel drive, a Torsen limited-slip differential, four modes for any surface the planet throws at it (Mud and Sand, Loose Rock, Mogul and Rock) as well as adjustable ride height on posher models, you should be able to drive over whatever spread Mother Nature has laid in front of you. There’s also Crawl Control. Basically, it’s cruise control for off-road. While in four-low, you can twizzle a knob in the roof to set your speed and then it’ll maraud across pretty much anything. It also works as a hill-descent mode, so you get to dictate the speed you come down the mountain, rather than gravity. Now that the V8 engine has been scrapped, you’ll have to make do with a 2.8-liter four-cylinder turbodiesel with 174hp and 450Nm. When you apply these figures to a 2.1-ton curb weight you’re set for a treacle-like 12.7sec 0-100kph and 175kph top speed. But the 13.5km/L is surprisingly achievable. It’s okay once you’re up to speed on the highway, but overtaking anything is tedious and if you so much as breathe on the accelerator it sets up an agricultural racket from the engine bay that you just wouldn’t hear in a Land Rover Discovery. 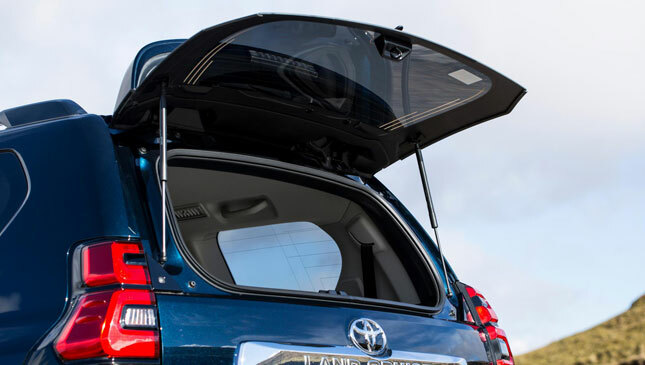 This is where the Land Cruiser’s appeal is quickly undone. Visibility out is good, largely thanks to a redesigned hood. But inside, the cabin feels antiquated and cheap, yet long-lasting. It’s just all packaged in a button-frenzied manner, perfect when you’ve been working outdoors and you’ve a pair of chunky gloves on, but not very pretty. The switches could be more logical though. 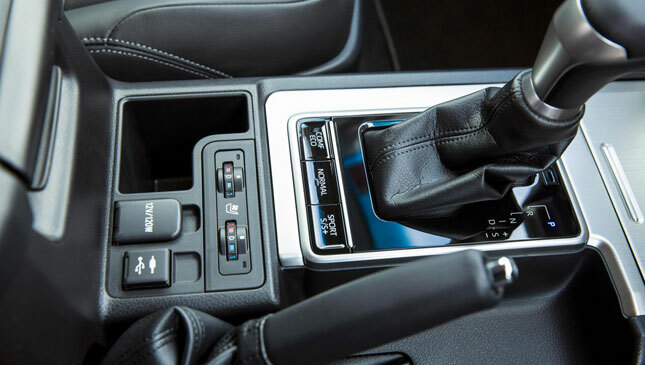 Some are controlled on the steering wheel, others are hidden away behind it, and yet more are low down on the center dash. 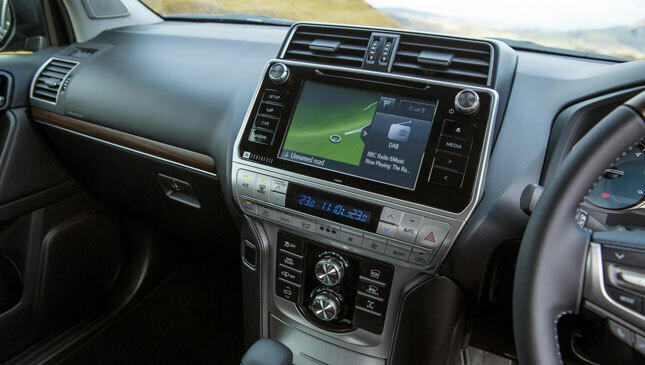 Toyota’s ‘Touch 2’ system houses all manner of functions, including data from the off-road systems as well as the satnav and controls for the 14-speaker stereo. It’s a good system, and its inclusion helps soften the throat-tightening price tag. 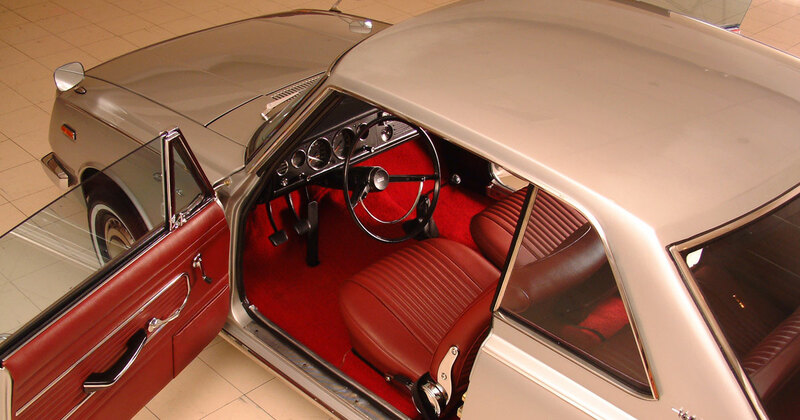 There’s also a desert-spec A/C system and an incredibly efficient fridge in the center console, both of which will have no trouble keeping all seven passengers and your pork pies cool in the middle of the Sahara. No matter how good the fridge is, you can’t deny a Disco’s set-up is far clearer, and the rest of the Land Rover’s interior better. Overall, it simply feels more modern and more worthy of your money. The furthest most seats are proper jobs with headrests and everything. 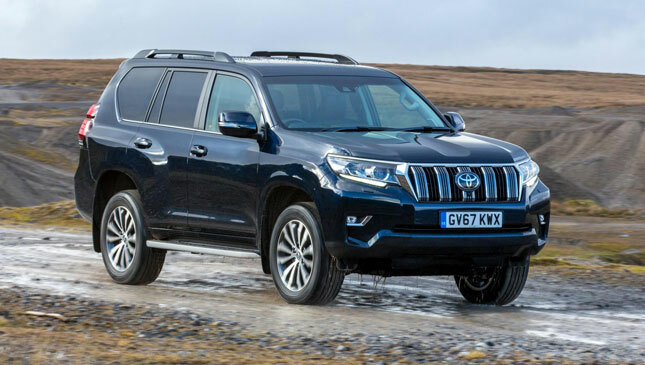 If you’re a fully-grown adult, you won’t want to be back there for too long, even if the leg room has more than doubled compared to the previous generation Land Cruiser but you sacrifice cargo space when they’re up. Seats all down, you’ve got a monstrous 1,943L to play with. The Land Cruiser is still a warrior, the four-wheeled embodiment of ‘if it ain’t broke, don’t fix it’. But a Nokia 3310 never broke, and that didn’t stop the world from upgrading to smartphones, did it? 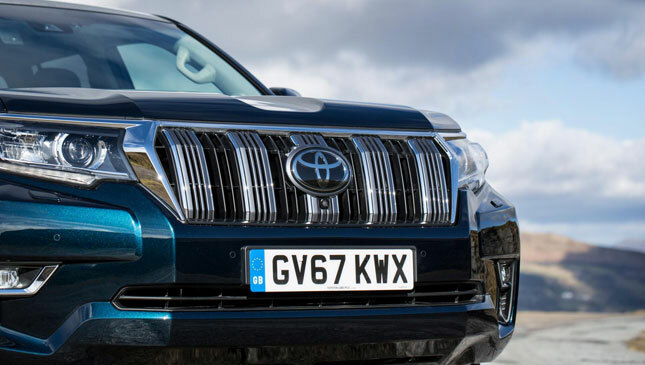 No matter the little updates that Toyota keeps sprinkling over the Land Cruiser, it’s starting to be left behind and feel antiquated. Even the ancient G-Wagen—now G-Class—has recently been catapulted into the present day, showing it can be done. 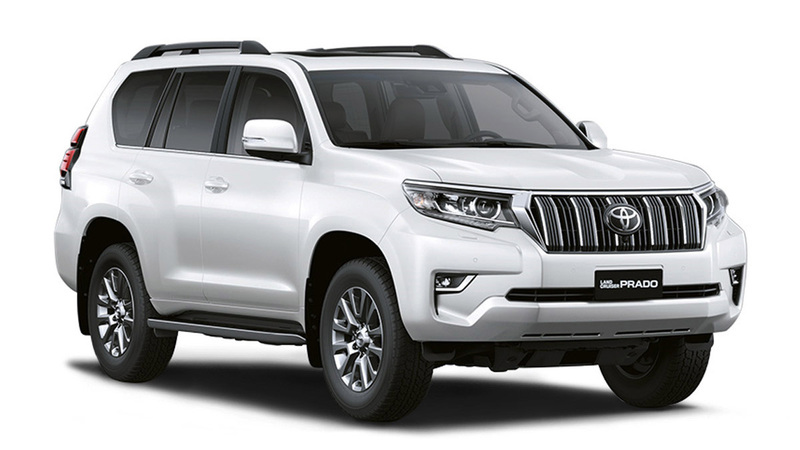 Let’s get straight to the point: If you live somewhere in the world where asphalt roads are hard to come by and you measure annual rainfall in meters, then the Toyota Land Cruiser is the car for you. But if tarmac is the dominant road surface, the Discovery is a much better bet. It seems unfair giving the Land Cruiser a kicking. It’s so perfectly executed for its raison d’être that it should be the best thing we’ve driven all year. But the problem is the Disco exists. And things have moved on.